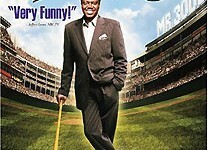 Funnyman Bernie Mac brings his irreverent comedy to the big screen to star in this hysterical movie about an over-the-hill ballplayer who gets his comeuppance after assuming that his Hall of Fame plaque is in the bag. Stan Ross (Mac) once loved the game of baseball, playing with passion, energy, and every ounce of his natural talent. But somewhere along the way, the fame went to his head. The self-centered star ended his career prematurely, shocking his teammates by selfishly quitting the game in the middle of a season, right after getting his 3,000th hit -- the unofficial key to baseball's Hall of Fame. Now, ten years later, three of Mr. 3000's hits have been disqualified, and the 47-year-old out-of-shape former slugger attempts a comeback -- hitting the gym and facing down pitchers half his age -- only to find that three hits are a lot harder to come by than they used to be! The media love to hate the bigheaded basher and they’re going to delight in ripping him for every strikeout. 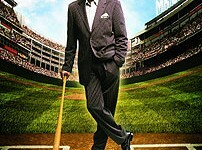 With only his ex-flame (Bassett) believing in him, for once in his life, Stan must either rediscover his passion for the national pastime -- or settle for living as "Mr. 2997."